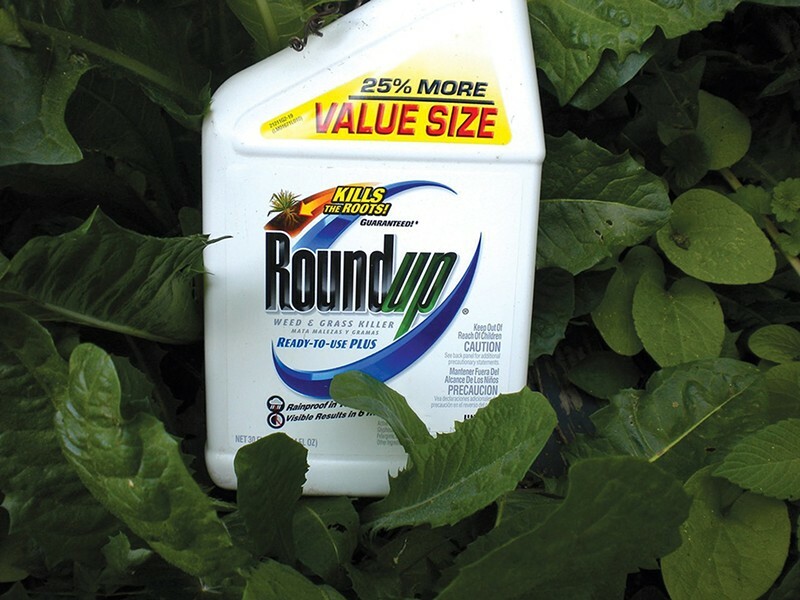 The California Environmental Protection Agency announced today that it plans to label glyphosate — the most widely used herbicide and main ingredient in Monsanto's Roundup — as a chemical "known to cause cancer." The World Health Organization's research arm also recently found that the chemical is probably carcinogenic to humans, and research has also linked glyphosate to the steep decline of monarch butterflies. And as we reported this week, scientists have increasingly raised new alarms about potential negative health impacts tied to Roundup, including a recent study suggesting that long-term exposure to tiny amounts of the chemical (thousands of times lower than what is allowed in drinking water in the US) could lead to liver and kidney problems. Today's announcement from the EPA's Office of Environmental Health Hazard Assessment is officially a "notice of intent" to list this pesticide as carcinogenic, giving the public an opportunity to comment on the proposal through October 5. The action falls under Proposition 65, a measure voters approved in 1986 that requires the state to publish a list of chemicals known to cause cancer, birth defects, or other reproductive harms. The state regularly updates the list, which now includes hundreds of chemicals. Under Prop 65, businesses must provide a "clear and reasonable" warning before exposing people to a chemical on the list. The warning could be labels on a consumer product, workplace postings, distributed notices at apartment buildings, or a notice published in a newspaper. Environmental activists celebrated the state EPA's announcement today, noting that it could be a first step in eventually restricting the use of the chemical. (The listing does not lead to a restriction or ban on sales of the product). “California’s taking an important step toward protecting people and wildlife from this toxic pesticide,” Nathan Donley, staff scientist with the Center for Biological Diversity, a conservation nonprofit based in San Francisco, said in a statement. Donley noted that more than 250 millions pounds of glyphosate are used annually in the US, adding, “It’s nearly impossible for people to limit exposure to this toxin because it is just so widespread. That’s why we need much tighter controls on its use." Donley said this kind of action can help advocates pressure the federal government to acknowledge that glyphosate is a potential carcinogen, which could eventually pave the way for meaningful federal regulations. The proposed carcinogen label in California is likely to spark intense backlash from Monsanto, the manufacturer of Roundup, which has continued to argue that the chemical is safe — and recently argued that the recent World Health Organization research was deeply flawed. According to the Center for Biological Diversity, world usage of glyphosate is at an all-time high tied to the proliferation of genetically engineered crops, such as soy and corn. The center says glyphosate residues are now on 90 percent of soybean crops, for example. Studies have further found that glyphosate destroys milkweed, which is the monarch caterpillar's only source of food. As glyphosate use has skyrocketed and eliminated milkweed from agricultural fields, monarch butterflies have declined by more than 80 percent in twenty years, according to the center. The US Environmental Protection Agency recently agreed to analyze the effects of glyphosate on endangered species as part of a settlement agreement in a lawsuit that the center filed. For more on glyphosate, read our print story, "Evidence Mounts that Roundup Is Toxic."